Stadium of Light, home of Sunderland AFC. You can read the full story with the Echo and quotes from executive director Charlie Methven HERE. "We’re on 77 points and we’re going to need 90-plus. We know that there’s not much margin for error, but we’re capable of reaching our aim. "It is realistic for us to get into the top two and although we don’t need perfection, we need something near it. 'We have to really go for it now – and have a fantastic crowd behind us that we know will back us all the way." Barnsley defender Liam Lindsay has warned the club's promotion rivals that "nothing is set in stone yet”. 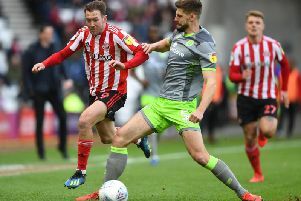 The Tykes slipped out of the automatic promotion places in midweek as Sunderland's draw with Burton was enough to take them into the top two. "While it remains our number one priority to stay, we can confirm that unfortunately the Ricoh Arena is not one of the venues above," a statement read. "At this stage, Wasps continue to choose not to enter into talks with the football club while our owners SISU continue legal action with Coventry City Council." In League Two, Crawley Town boss Gabriele Cioffi has revealed three players have recovered from injury ahead of this weekend's trip to Yeovil Town. David Flitcroft's men are 2nd in League Two, though hold a slender one-point advantage over 4rd place Bury. You can read what Flitcroft said about Elsnik HERE.